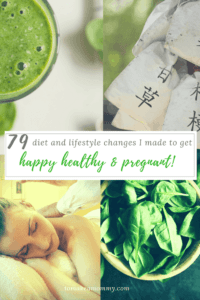 When I started this blog it was because I wanted to share ALL THE THINGS I did to get happy, healthy, and pregnant! I wanted to type them up in detail and put them on the internet, free of charge for anyone to access! Here’s the problem- I can’t write them fast enough! Since I can’t seem to provide all the details in a timely manner, I decided I would go ahead and just write a list of ALL THE THINGS. This list has everything I did- eliminating toxins, the diet, the mind-body work, and other lifestyle changes. 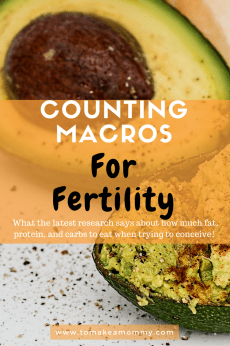 After 2 years of infertility from high FSH, low AMH, diminished ovarian reserve, endometriosis, MTHFR mutation, and recurrent miscarriages, it took LESS THAN THREE MONTHS of doing all of these changes to get pregnant naturally. What are you waiting for? Download the list for free today! Just fill out the form above this post! « How to find the best acupuncturist for fertility! I do not want emails. Just the list. Hi Renee! I understand it can be frustrating to have your inbox overloaded! As soon as you confirm subscription the pdf downloads. Save it to your computer. Then you can unsubscribe from the welcome email you’ll get (unsubscribe link is at the bottom). Then you’ll never get a single one again. I hope you enjoy my list and that it helps you on your baby journey! Baby dust! I also didn’t recieve the email. Can you send it? Thanks! sorry about that! I just emailed you! Does the mailing list/this list still work? Nothing in email or spam. Yes, still works! Give it 15 minutes and maybe double check you submitted your email address right! If you still don’t see anything use the contact button to send me a message! It’s really amazing what you’re doing here, by sharing your story and all that you did. I read your list, it’s quite intense. Although I won’t be doing all of it, I’m definitely changing my diet and adding that green smoothie to my day. ?? It works! I know its a ton!! Find what works for you, and leave what doesn’t :-). Best wishes, and baby dust!! Hi Anna says …. your story is so inspiring.. I wanted ur help in this situation when I can’t see any hopes .. Thanks for this list Anna! 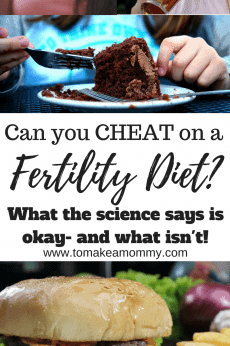 I have unexplained infertility, eventually did IVF for my daughter whose 9 months but hoping maybe we might be able to get pregnant naturally this time around. We miscarried after our first IVF attempt due to trisomy 15, then tested our remaining embryos and they were fine so I’m not sure I have an egg quality issue. 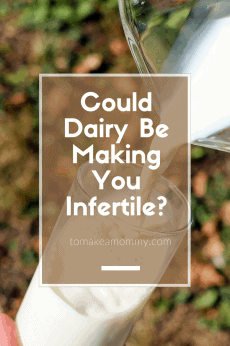 All I know is I had a hard time getting my uterine lining thick enough for our FET, so I’m thinking it could be a blood-related issue so I’m definitely going to up it on the iron. 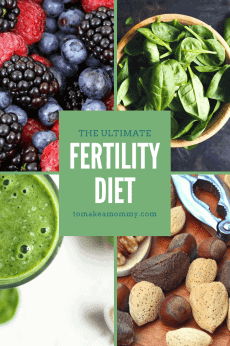 Unfortunately I had blood clots after my c-section so I can’t take estrogen, so I’m hoping a fertility diet rich in iron will make a difference! Thanks for this. I haven’t been to the doctor yet but my period is acting funny and I’m 35 and have sarcoidosis that is dormant due to lifestyle changes ( diet) so this gave me peace. I’m going to change my diet more to increase my chances of children with or without a husband. Baby dust honey! Wishing you the best! I signed up but nothing in my email about your 79 things. What do I do? Neet- It should have downloaded automatically when you clicked “Confirm.” If that doesn’t work shoot me an email and I’ll just send it to you!! Hi Anna, can you please send the pdf to my email address as I have not been able to successfully download it? Hi Neet!! So sorry about that! send me an email at anna at tomakeamommy dot com and I will reply with the list! Thank you for sharing this extensive research. It can be a daunting task to be on a difficult TTC journey. I love that I have this reference website. I am 36 and started TTC in February. At the same time, my periods started being irregular like late by few days or even early. I saw an OBGYN in May as I was really worried. It turns out I have an abnormal AMH for my age- 0.13 and high FSH – 18.3. I’m told my chances of getting pregnant by even ivf are next to nothing as these numbers indicate Menopause. For past year I have worked over 70 hrs a week. I started cutting back on it since June. I try to workout 3-4 times a week, I want to get to a healthy BMI (I’m right at the baseline for obese so yea! ), I cook for myself, I buy from the farmers market and I am trying to clean out my home. I have miles to go even to be fit but I’m trying to adopt discipline. I also saw another doctor and he said that I will have to go to donor route. I have not even thought about that. I’m repeating my tests this week, doing the HSG and other tests again. I am also trying to find a good acupuncturist. I hope things work out for me. I do not know how long this journey will be but im trying to stay positive. I am wishing you all the baby dust on your journey!! It sounds like you are working so hard and doing a great job!!!! Stay the course and let me know when you meet your baby!! 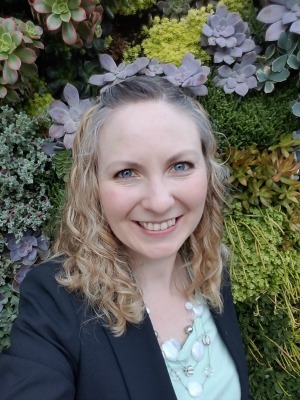 I am excited to have come across your amazing blog! Thank you for the very thorough list of 79 things to get pregnant. I have a long while to go to adopt the list of things you recommend, but I have been doing a few like the acupuncture, Chinese herbal medicine, yoga, visualization, meditation etc. We have been trying to conceive for many years and I am now 39. We have 4 failed medicated iuis and I have recently decided that I don’t want to do ivf and I want to take the nature’s path. I know I am running out of time but I have decided that I am fine either way at this point, as long as I don’t put myself into the craziness of more medications and fertility treatments. Seemingly everything seems fine with my eggs and according to my doctor they are as best as they can be for my age. We have a mild male infertility but still not the apparent reason for not getting pregnant for so long. I suspect that I have a cold and hostile uterus which is what I am now working on with my acupuncturist. Anyhow, I just wanted to say that it takes a lot and it requires immense positive energy to do what you have done. Some women are definitely a special kind of human and you are one of them. Your story is a sunshine! Thank you for all your positive and kind words! I’m so happy for you that you are doing so much good work for your health and happiness. It sounds like you are in a good place!!! Baby dust my dear!! Hi Anna, signed up the free 79 lifestyle changes but nothing received in email. Can u send me please.. thanks. Hi Rosie! If you haven’t already sent me an email directly, please do! anna (at) tomakeamommy (dot) com! I’ll email you the list! Hi Renie! I am SO SORRY I missed this! Hi Rosie! Please send me an email directly and I will email the list to you! anna (at) tomakeamommy (dot) com! Hi! I entered my email and information last night and have not received the list, are you able to send through? 🙂 Thank you so much! HI Heather! I am sooo sorry! Please send me an email directly and I will email you the list my dear! anna (at) tomakeamommy (dot) com! Hi I have filled in my details my have not received anything in my emails. Please kindly send this through. Sima– so sorry my dear! If you haven’t already sent me an email directly, please do! anna (at) tomakeamommy (dot) com! I’ll send you the list directly! Would love to get the list. Sent you an email already. Thank you so much! Thanks for the list! I started eliminating coffee (though not completely, but I’m down to just a sip or two now) and plastic containers out of my life and it helped! 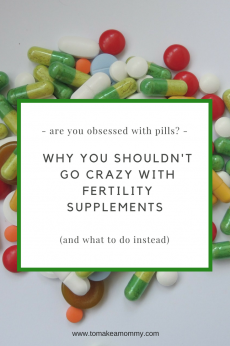 Among the other things I did was focus more on pelvic exercises and yoga poses, meditating, massaging my abdomen with Castor and lavender oil every night before my ovulation and putting my feet up every night. I also took Vit E and C daily. I believe they all helped along with a lot of prayers. Thanks, Anna. I’m recommending your blog to my friends! You are so welcome!! Sounds like you are doing a fantastic job!! Does this mean you are pregnant? Hi Anna – I’m curious if you still had regular periods after you found out you had low AMH/high FSH. Were you diagnosed with POI/POF and how old were you when you conceived? Thanks. Did not get the email for the 79 list . Hi does this still work? subscribed, confirmed subscription but there is no where to download the PDF? Please confirm. I signed up for the newsletter and got the welcome letter, but did not receive the pdf? Am I doing it right? I confirmed my subscription but did not get any pdf to download. Hi, I have not received any email and I checked my spam as well. I tried to sign up about 3 times already but still nothing. What do you suggest me to do ?